Snow in springtime? That didn’t seem to be on anyone’s mind at Happy Hour March 25. The evening marked the 16th time veterans and Friends of the Soldiers Home joined together for the monthly event. There was a lot of chatter, catching up, bad jokes and laughter. Several Friends and residents joined us for the first time – but promised to return – no matter the weather! Everyone enjoyed the drinks, good food and both old and new friends, including Rebekah, pictured below, who enjoyed a quiet conversation with Chuck. Photo and story by Elizabeth Cocke. Here’s your chance to ‘welcome home’ World War II veterans at the DC Soldiers’ Home! On Saturday, April 5 at 3:15 p.m. we will gather at the front gate at Upshur and Rock Creek Church Road, and on the Scott Building Promenade, to welcome veterans back from a trip to the World War II Memorial. The Marine Band will join the welcoming party. This should be a fun event for the whole family. With more World War II veterans passing away each day, how many more opportunities will we get to personally thank them? The event is sponsored by the Home and Honor Flight, an organization that transports veterans from around the country to the World War II Memorial. A beautiful spring day… time to think about…. 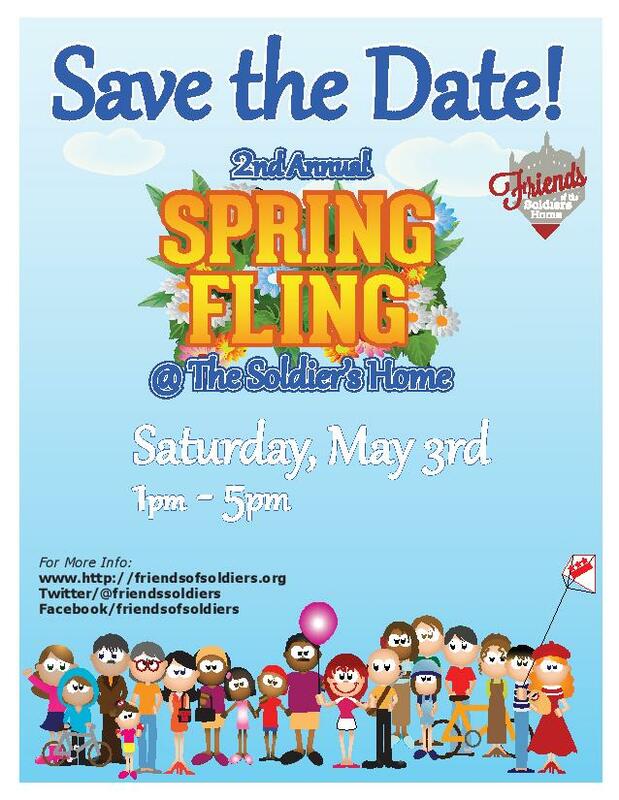 the third annual Friends of the Soldiers Home and Armed Forces Retirement Home Garden Project! You can get your own garden plot on the beautiful, historic grounds of the Armed Forces Retirement Home in Washington, D.C. In return, you help residents with their gardens, assist with general upkeep of the growing area or volunteer at other Friends of the Soldiers Home and Armed Forces Retirement Home programs. Please contact Friends Garden Coordinator Ken Rubotzky at ken.rubo (at) gmail (dot) com if you are interested in participating. New volunteers must complete two orientations before they participate. The first meeting is a two-hour session on general information about volunteering at the Home. The second meeting is 1.5-hour discussion on use of the garden space. Upcoming options for the general volunteer meeting are this coming Saturday, March 22, from 1-3 p.m.; Friday, March 28, 1-3 p.m.; Friday, April 18, 1-3 p.m.; or Saturday, April 19, 9-11 a.m. The second meeting will be held at the garden plots on campus. The options are: Sunday, March 30, 3:30-5 p.m.; Sunday, April 6, 1:30-3 p.m.; or Tuesday, April 8, 6:30-8 p.m.
Photo and story by Lori Lincoln. “Young” and “love” seemed to be the theme for the Jingo game on March 13. First, we don’t think we’ve ever seen so many young volunteers for Friends of the Soldiers Home — five of 11 of them were under age 18! And love was on everyone’s mind as we played the Valentines Day-themed game that we missed last month because of the snow. 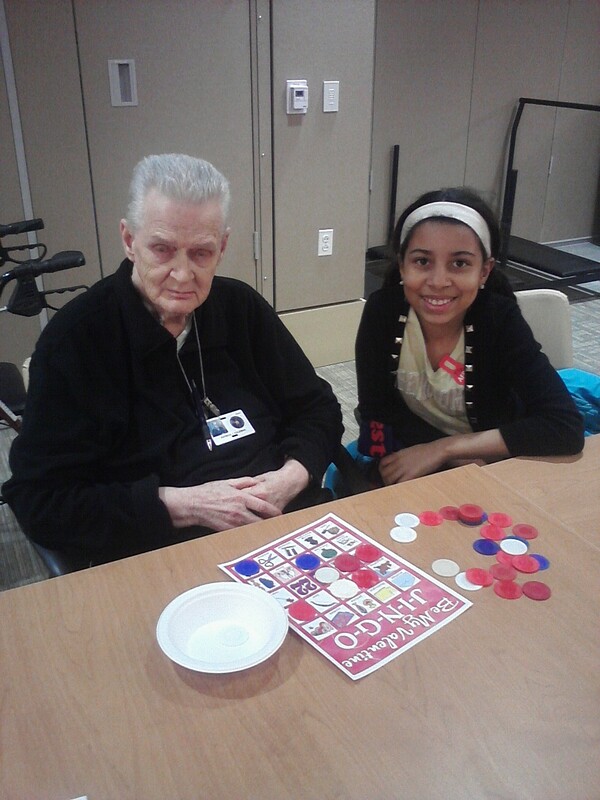 Nearly every resident in attendance won a game and took home a prize, including Patrick Coleman, who is pictured below with a Friends volunteer on his way to winning a “straight” Jingo. The ‘Fat Tuesday’ version of Saloon Night With Friends was a rip-roaring success March 5th. Friends of the Soldiers Home brought in The Herb Scott Trio with sizzling jazz to warm up the Defender’s Inn on a chilly night at the Armed Forces Retirement Home campus in Washington. Seven Friends volunteers seemed to have as much fun as the 50 or so residents who participated. The fun wasn’t over until Herb’s trio had the ‘saints marching in.’ Even after the music stopped, veterans lingered at Defender’s, because the fun didn’t need to end so soon. The next April Fools-version of Saloon Night is, no kidding, on April 1. We can’t wait! Photo: Friends volunteer Kerry Hamblin pays close attention as veteran Charles Setzer performs a card trick during Saloon Night With Friends on March 4. Unfortunately for Kerry and others, Mr. Setzer wouldn’t reveal how he did it. Photo credit: Lori Lincoln. There’s a free concert at the Kennedy Center on Sunday, March 9, at 1pm. 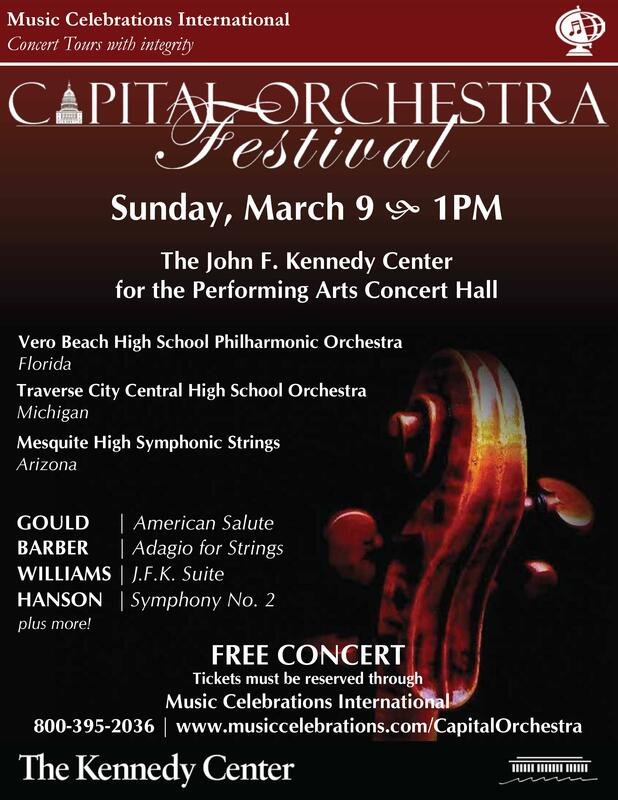 High school orchestras from Michigan, Florida and Arizona will be performing. Those interested in tickets need to sign up for them here: www.musiccelebrations.com/CapitalOrchestra. Friends of the Soldiers Home last year worked with the organization that is putting on the show to schedule a concert for veterans. Unfortunately, that concert was cancelled because of the federal government shutdown. However, we plan to work with Music Celebrations International again this year for activities at the Soldiers Home. We thank them for making us aware of this opportunity at the Kennedy Center!